The “White Lives Matter” rally in Murfreesboro, TN on Saturday was cancelled. 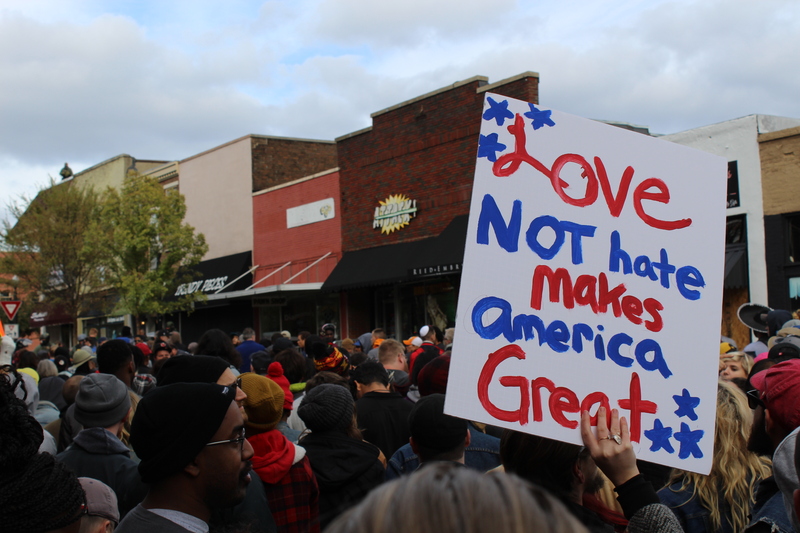 Although the “white nationalist” groups were granted permits to rally in Shelbyville and Murfreesboro, Tennessee on Saturday, their ability to demonstrate any substantial show of force was for the most part a total failure. While they did manage to generate a small crowd for the morning event in nearby Shelbyville, by the time they made it to the afternoon rally in Murfreesboro their numbers had dwindled down to only a small handful of protesters. Some suspected the small turnout ultimately led to the organizers decision to cancel the event, but the “white nationalists” claimed the reason they didn’t proceed was because they were being set up to be the victims of a “legal trap”. Whatever the reason, for many of the counter protesters who DID show up (with numbers estimated to be anywhere from several hundred to a thousand) the cancellation was seen as a victory. Although the counter protesters may have shared a similar sentiment about the Nazi’s with the Senator, not everyone was feeling like their “right to assemble” was being truly respected. While there were signs up everywhere designating the town square as a “Free Speech Zone”, very few people were actually permitted inside it. There were a number of long lines that were moving so slowly, that it almost seemed like they were trying to dissuade everyone (the protesters, and counter protesters) from entering. Although a certain measure of better planning probably seemed necessary after Charlottesville, the event felt more like an exercise in crowd control than a rally. With the local businesses being boarded up, the heavy presence of armed military and police officers, the spotters with binoculars on the roofs, and the excessive amount of helicopters and drones in the air… it looked more like a war zone than a place designated for peaceful assembly. Upon arriving at the event, we were directed to our first line, (manned by heavily armed personnel in camouflage uniforms with helmets and bullet proof vests) for entry. There were no press points, and everyone had to go through the same process to get in. Although signs listed a number of reasonably prohibited items, people were being thrown out of the lines for having items as simple as a cigarette lighter or a scarf. Not content with just confiscating any unwanted items, people were told they needed to exit the line just for having them—and then had to start from the beginning all over again. Unsure if they would let me pass with an electronic cigarette, I had to hike all the way back to my car to drop everything off I was carrying—even though I wasn’t carrying anything even remotely resembling a weapon. When I got back in line, I waited for another hour, and barely made it even halfway (since they were only letting through about one person every 5 minutes) before I noticed that a lot of the people who finally made it through, were starting to turn back around. Apparently even inside the square everything had been sectioned off. Finally everyone started to realize we were being rused, and decided to ditch the line only to head out to another “access point” where the lines were even worse. This was where I spent another hour and a half (amongst a large crowd of frustrated counter protesters) before finding out the rally had ultimately been cancelled. Whatever your affiliation—whether you are a Nazi, a member of Antifa, or anywhere in between—it increasingly seems that if you want to exercise your First Amendment rights….you better get ready to exercise a lot of patience first. Once the government feels it is their duty to protect citizens from themselves, it doesn’t take long for personal freedoms to get stripped away. Although we all hope to be able to live out our days in relative safety, there are certain arenas where we should never expect to feel totally safe—the terrain of free speech being the most important of them all. And even if that means we occasionally have to risk a little danger, I promise it’s better than having to wait in line for three and half hours for a “Free Speech Zone” that may close before you’ve even had a chance to get on the ride…. But maybe that’s just me.